PLEASE NOTE: I wa not supplied the blu-ray of this release, nor do I intend to acquire it through personal funds any time soon. This review is based solely on the two audio discs only. Thank you for your understanding. XLive Premiere‘s audio features ten songs that sprawl across Virtual Symmetry‘s entire discography. The experience takes up a full two discs, offering up over an hour-and-a-half of material sprawling from progressive metal, ambience, contemporary, pop influence, and even the notable space rock aspect in the keyboards. That said, it isn’t until “Pegasus” that you really feel the impact of this as a live offering. It casts you into the cosmos, guiding you by your hand if you close your eyes and drift away with the slightly technical timing and tonal changes that turn grand and overwhelming to calm and soothing at a moment’s notice. While it’s the first of the memorable tracks, it thankfully is not the last. “Soul’s Reflections” is another of the few that really stands out here. The restrained ballad approach works wonders in a prog rock sense, playing on what intimacy exists of the venue by bringing in a surprisingly emotional just under seven minute composition that leaves you quite satisfied, though maybe a little disappointed in the lack of harmonized vocals at times to accentuate the compassion felt within the lead vocals, especially during the melodic chorus. “You’ll Never Fall Again” hits in a similar manner. The roots clearly shine through with an eighties glam rock/ballad foundation that gradually introduces some night-time progressive rock goodness, filling up the somewhat thinner music with richer, catchier hooks and uplifting neo-classical guitar work towards the end. “Silent Sweetness” is a slower piano piece that wraps up disc one well, but it has one glaring problem. Around three minutes in, the music just stops dead, picking up again a moment later. I had to stop and check my playlist to see if this was a transitional trick the band implemented in the recording to keep things flowing from this disc onto the next, but it’s not. Either this is a missed key live, or something in the recording that sounds like a bad switch from one layer to another. 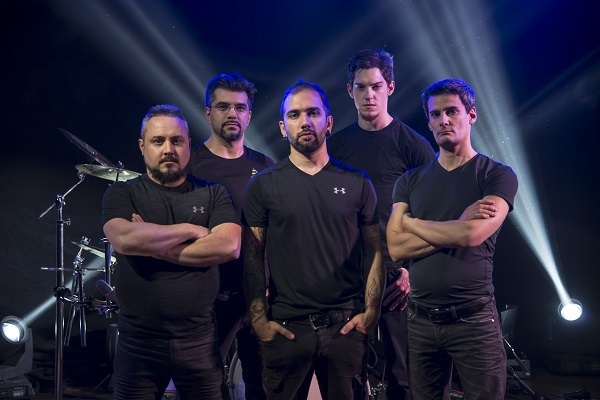 Other than that, there are many times you’ll wish vocalist Marco Pastorino would use a little more enthusiasm in spots, but the closest you get with that is during “Elevate”, and somewhat close on the closing track “Message from Eternity Suite”. The extra emphasis on the former of those two sounds fantastic and even finds the band channeling their inner Evergrey, intentional or otherwise. While on the subject of “Elevate”, the additional female vocals really tie thing up nicely as a duet, but feel criminally under utilized. Given there even a woman present for this part you’d think the band would incorporate her more on what seems to be some special live show given the set’s runtime. Even just acting as a supporting layer behind Valerio in a handful of choruses would have been a nice touch to make the live presentation a little more special to make it stand out even more from the established studio offerings. The one thing about XLive Premiere that stood out in a negative manner is that, while considered a live recording, it feels more like an intimate band rehearsal than an actual stage performance. There are times where the band can be heard talking to the audience, not to mention some periods where the crowd can be heard cheering or applauding, but that aspect seems muffled and restricted to the background. Whether this is due to a low turn out or the audio equipment not strong enough or not positioned properly to pick up those in attendance is unclear, but one thing for certain is that it hurts the sensation that you are at listening to a live performance from a band that is so well-known that they get such extensive set times, diluting the immersion factor efforts like this are designed to illicit in the listener. Overall, XLive Premiere is a nice little live piece from a promising progressive rock/metal act that only really misses the mark in emersion. Most of the time you don’t even know the crowd is there, and sometimes what audience exists seems like nothing more than maybe ten people in attendance. As mentioned, most of the time it’s like a recording captured from a sound board at a rehearsal space and the only times you don’t know are when the mild applause kicks in, or as the cameras click away during the solid keyboard solo in “Eyes of Salvation”. 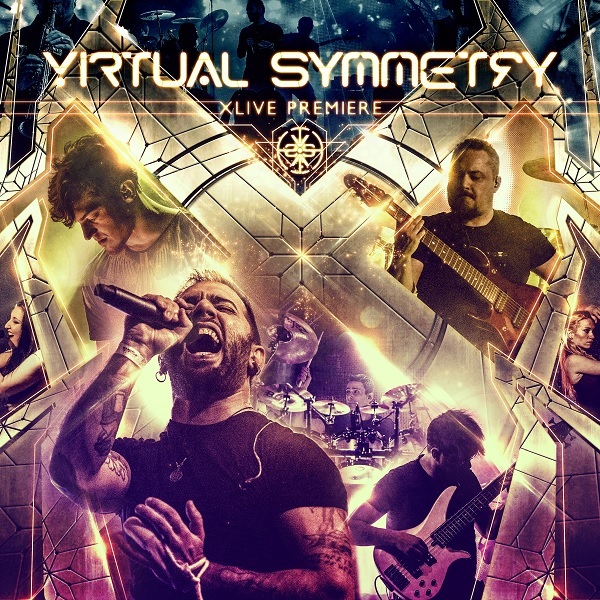 If you can look past those aesthetic faults of a live recording, you will find some solid prog that spans varying styles and emotions that makes you realize Virtual Symmetry is an entity you’re going to want to check out. Digital review copy of this release provided by Metalmessage PR.